Posted on March 23, 2018 by Emily Allbon. The sixth annual Leicester Law School Medical Law Mooting Competition took place on Saturday, 2nd December 2017. The National competition was supported by 1 Crown Office Row, Oxford University Press, and The Incorporated Council for Law Reporting for England and Wales (ICLR). The event proved to be as popular as ever this year, with twenty-three teams from English and Welsh universities signing up to participate and twenty-one teams competing on the day. The competition moot problem involved topical issues relating to a negligently conducted sterilisation operation, the law of ‘wrongful pregnancy’ and the damages recoverable in both contract and tort. The competition took place over five rounds, with all teams competing in the first two rounds, and the best 8 teams (City University, Aberystwyth, Leicester, UCL, Bristol, University of Law, Nottingham Trent and BPP Waterloo) then progressing to the quarter-finals. The heats were judged by academics, and by practitioners from the Leicester and Nottingham areas. One of the main aims of the competition has always been to provide entrants with feedback and advocacy training, to help them to improve their mooting skills, and students who did not make it through to the quarter finals had the opportunity of attending a “Mooting 101 Workshop”, which was directed by Oliver Nunn of KCH Garden Square, a rising star of the Nottingham Bar. This workshop was well received by all students who attended it. 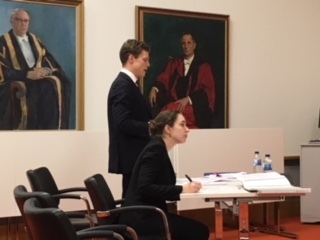 We were grateful to have been selected for the two-person team representing City Law School, competing against twenty-two teams from across the UK. The moot problem concerned ‘wrongful conception’, whereby a private provider had negligently performed a sterilisation procedure. The claimant delivered her child in an NHS Trust hospital, and was moved to a Neonatal Intensive Care Unit, which, due to cuts, had unsanitary conditions at the time of birth; the newborn contracted a staphylococcal infection and developed meningitis. The controversial crux was as follows: should the private care provider be found liable for the economic consequences of the child’s disabilities? The preparation for the moot took longer than we had anticipated; the demand for wider reading cannot be over-emphasized. You will be drinking extortionate quantities of coffee and pouring over medical textbooks through the night; you will be getting up at 5am to catch the train to Leicester, which is great practice for the early days of Tenancy. If you are keen on entering this moot, we recommend that you consult the Practitioner textbooks, such as Clerk & Lindsell on Torts, from the outset. These resources carry more clout than a textbook, and can be cited in your skeleton argument. This particular moot is extremely intense: you will be asked to prepare both the claimant and the defendant case, and if you make it to the final, you could end up doing five moots in a row. It is worth noting that if you don’t make the qualifying rounds, the University offers a handy advocacy workshop in the afternoon. We were thrilled to make it to the Semi-Final after a series of incrementally challenging rounds. As the rounds toughen, you can be sure to rip up your submissions – you won’t need them. Simeon Maskrey QC and Sir Nicholas Greene QC judged our Semi-Final round, which was one of the toughest experiences we have ever encountered. When you are being questioned on the spot by renowned silks, there is nowhere to hide. The true test is whether you can remain unfazed whilst your argument is unpicked before an audience. However you fare, we can assure you that the event is a highly rewarding experience, and one which will provide immeasurable practice for your future career at the Bar. The contentious legal topics at play made headlines in the recent case of Meadows v Kahn  EWHC 2990 (QB) (See the UK Human Rights Blog post on this for further insights). 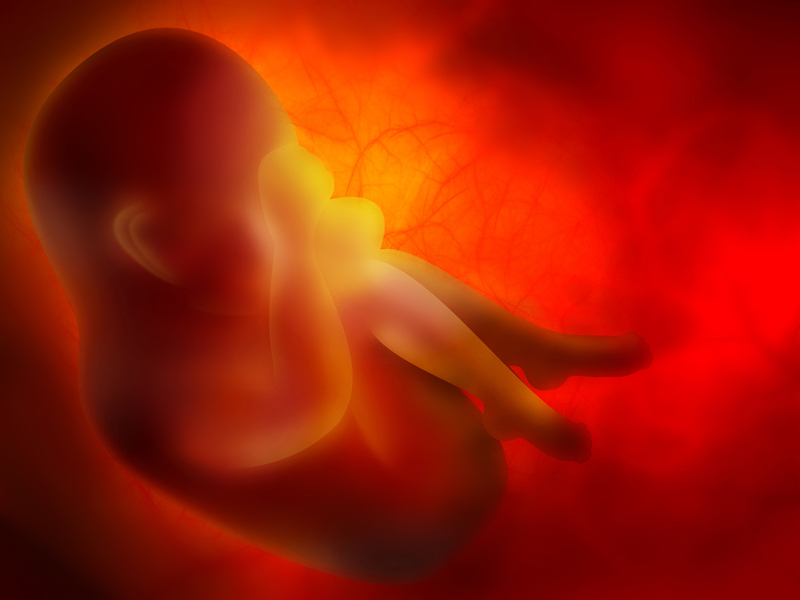 This landmark case demarcated a shift in the law: previously, it had been difficult for claimants to receive damages for unrelated disabilities arising out of wrongful conception or birth. In this case, the mother was awarded £9m in high court damages for two unconnected disabilities. We are certainly keeping tabs on this case, as it will soon be heard in Court of Appeal. As one of the only teams to use this authority, which had been released two weeks prior to our moot, this helped us to stand out in the competition. We suggest that you keep a watchful eye on Tort-related issues in the papers, as the strength of your argument might end up being helped or hindered by a case that emerges days before the event. If you are fascinated by medico-legal ethics, we cannot recommend Leicester’s National Medical Law Mooting Competition enough. The teams from UCL, City, Leicester and Nottingham Trent Universities battled through to the semi-finals, with mooters from Leicester University (Didi Uddi and Rachel Roberts), being pitted against UCL (Joseph Mahon and Max Cope) in the final, which was won by UCL. The final was judged by Mr. Justice Green; Simeon Maskrey QC, from 7 Bedford Row Chambers, Henry Witcomb QC, from 1 Crown Office Row; Bradley Martin, from 2 Temple Gardens, and Dr. Tracey Elliott, from the University of Leicester. This competition could not take place without the help and support of our sponsors, the ICLR and 1COR, the OUP, and the judges and students who give freely of their time to help the day to run smoothly. The competition convener, Dr. Tracey Elliott, and Leicester Law School would like to thank them very much for their assistance. The provisional date for the 2018 competition is 1st December 2018. Queries about the 2018 event may be addressed to Dr. Tracey Elliott at te41@le.ac.uk.